Greener Kirkcaldy is a community-led charity, working on a local scale to benefit people and our environment. We are concerned about climate change and by the impact of rising food and fuel costs. We would like to see a future where everyone is able to heat their home affordably, eat well, and tread more lightly on our planet. 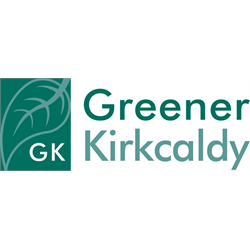 Greener Kirkcaldy is a community-led charity, working on a local scale to benefit people and our environment. We are concerned about climate change, social justice and community development. We would like to see a future where everyone is able to heat their home affordably, eat well, and tread more lightly on our planet. We are recruiting for an experienced Active Travel Development Worker to join Greener Kirkcaldy’s Community Engagement Team. Our Move More, Drive Less project aims to encourage people in Kirkcaldy to drive less and cycle or walk more for short journeys. The project will run led walks and cycle rides, work with local partners to hold Kirkcaldy Walking and Cycling Festivals, create a network of volunteer Active Travel Champions, running cycling and walking activities in their own communities, and produce Kirkcaldy cycling and walking guides of local routes. This is an exciting opportunity if you have a passion for engaging communities in active travel. We are looking for someone with proven experience of delivering practical cycling and walking activities, and a passion for engaging communities in active travel. Experience working with volunteers is also essential. You will have excellent organisational skills, the ability to work with a range of people, work well in a team and use your own initiative too.